PT Perusahaan Perkebunan London Sumatra Indonesia Tbk – PT PP London Sumatra Indonesia Tbk or commonly known as Lonsum is a reputable privatetely-owned plantation company in Indonesia with scope of business in plant breeding, planting, harvesting, processing and the selling of palm products, rubber, seeds, cocoa and tea. The origin of PT Perusahaan Perkebunan London Sumatra Indonesia Tbk goes back over more than a century to 1906 with the initiatives of the London-based Harrisons & Crossfield Plc, as a general trading and plantation management services firm. The London-Sumatra plantations, which later came to be known as “Lonsum”, evolved over time to become one of the world’s renowned plantation companies, with almost 100,000 hectares of planted oil palm, rubber, tea and cocoa plantations spread across Indonesia’s four largest islands. Having diversified into rubber, tea and cocoa in its early years, Lonsum concentrated on rubber throughout Indonesia’s formative years as an independent nation, and commenced oil palm production in the 1980s. By the end of the following decade, oil palm had replaced rubber as the Company’s primary commodity. 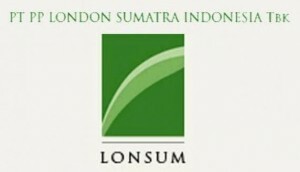 Lonsum’s 38 inti estates (Company owned) and 14 plasma estates (smallholder farmer), which are currently operational in Sumatra, Java, Kalimantan and Sulawesi, make use of advanced research and development as well as agro-management expertise and a highly skilled and an experienced workforce. The scope of the business has broadened to include plant breeding, planting, harvesting, milling, processing and the selling of palm products, rubber, cocoa and tea. The Company now has 20 factories which are operational in Sumatra, Java and Sulawesi. Lonsum is known in the industry for the quality of its oil palm an cocoa seeds, and this high-tech business is now a major growth driver for the Company. In 1994, Harrisons & Crossfield sold its entire interest in Lonsum to PT Pan London Sumatra Plantation (PPLS), which took Lonsum public by listing its shares on the Jakarta and Surabaya stock exchanges in 1996. In October 2007, Indofood Agri Resources Ltd, the plantation arm of PT Indofood Sukses Makmur Tbk, became the Company’s majority shareholder through its Indonesian subsidiary, PT Salim Ivomas Pratama. Min. SMU, Diploma, Bachelor’s Degree in Engineering (Electrical/Electronic), Engineering (Mechanical) or equivalent. Preferably Staff (non-management & non-supervisor) specialized in Agriculture/Forestry/Fisheries or equivalent. Min. 5 Year(s) of working experience in the related field is required for this position. Placement in : Jakarta & Medan. Copyright © All right reserved. | Theme: Newslite by eVisionThemes - 25 q. 0.748 s.